Published at 29/01/2015 20:57:48 from Argentina, 7391 visits. 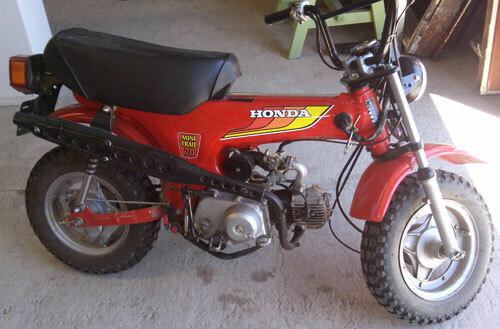 For sale CT 70 Mini Trail year 1980 Japan restored to new, two new covers. I accept change for something that interests me. I have a sale of antiques and furniture so it serves me almost anything. I accept cash offer. All the documentation ready for transfer.